Have you made anything for Easter? Have you been wanting to make something fun and adorable for Easter but time has gotten away from you and now you have like four days and have nothing done and it’s a real problem? 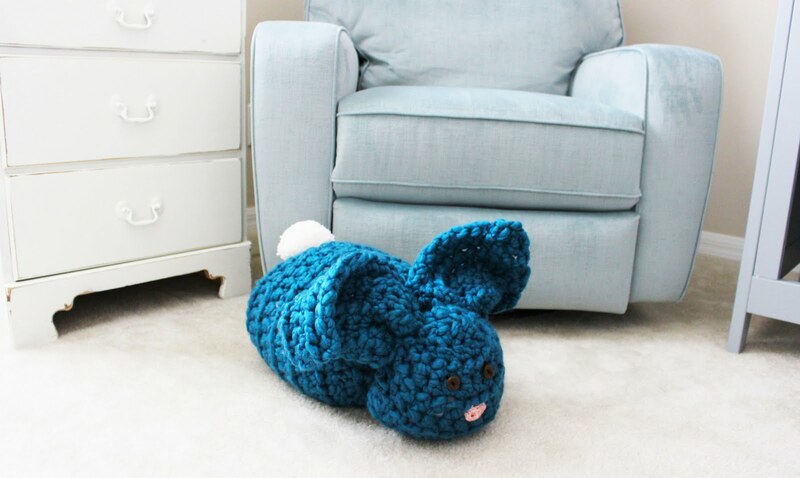 I’ve seen this technique for making a bunny out of a knit square for a little while now, but I’d only ever seen it done with a small bunny – probably perfect for going in an easter basket or as a centerpiece. Well I loved this idea and 1. can’t knit & 2. why make something little when you can make it extra-super-duper-huge?? I’d had some Patons Cobbles yarn lying around since I found it on sale for 60% off at Joann’s a few weeks ago with no idea what to do with it. So I made the largest square of Half Double Crochets I could out of five skeins of the stuff and tried out this process. 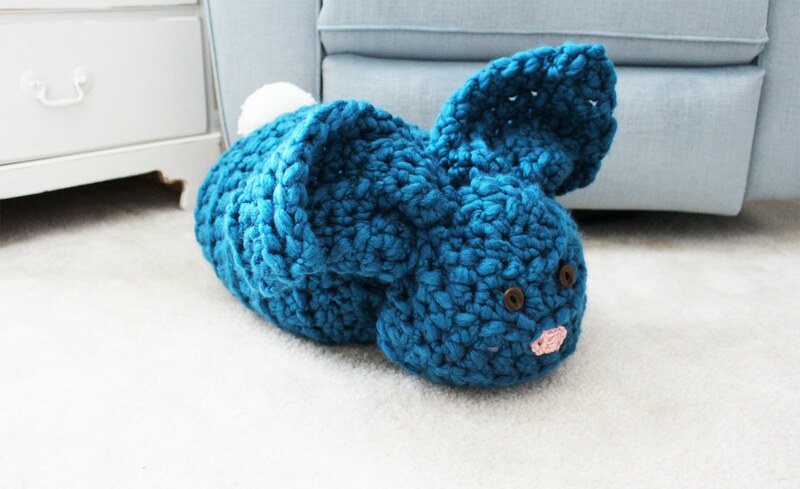 A jumbo amigurumi bunny that is sure to knock the socks off of any little person in your life! As always, I’ve made a quick video tutorial for those of us who are visual learners. Sew button eyes and nose onto face. I used a large Clover Pom Pom Maker to make a white pom pom and tied this onto the bunny’s bum for his tail – it was the perfect size! Hope you guys love this little guy – I know I do!